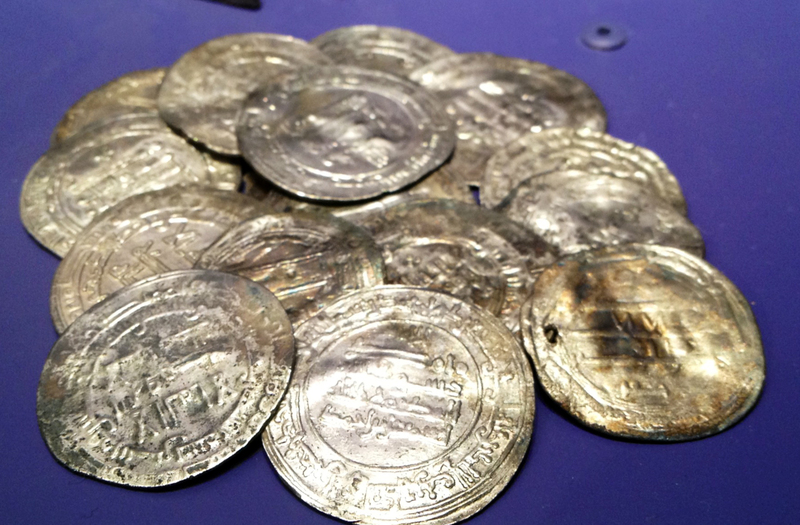 Several gold and silver artifacts are displayed in the gold room of the Historiska Museet in Stockholm and the Museum of Cultural History in Oslo. 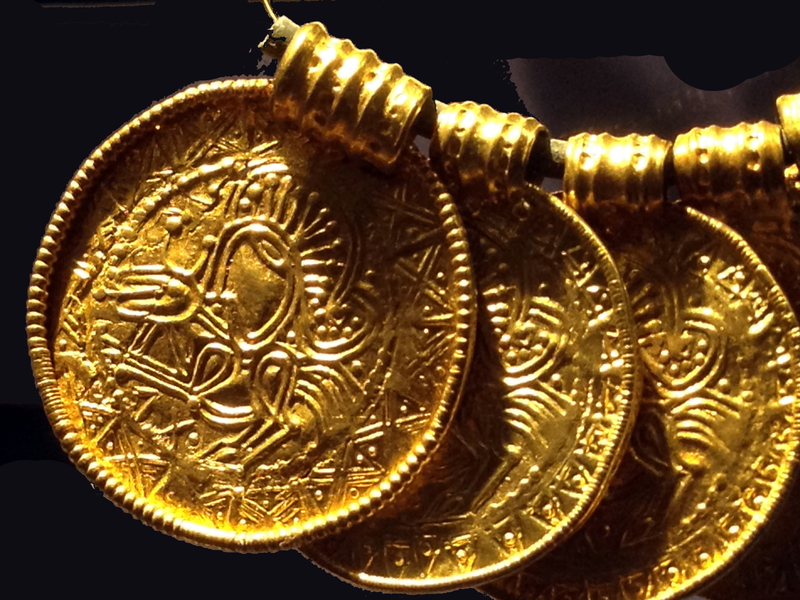 Gold bracteates in the Oslo Museum. The figure in the center might be a representation of Odin. 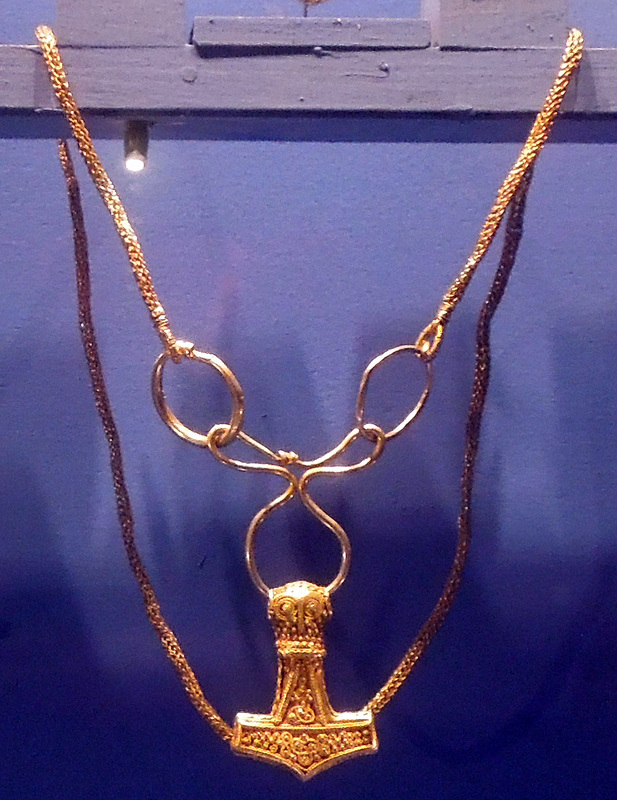 Gold bracteates in the Oslo Museum. The figure in the centers might be a representation of Odin. 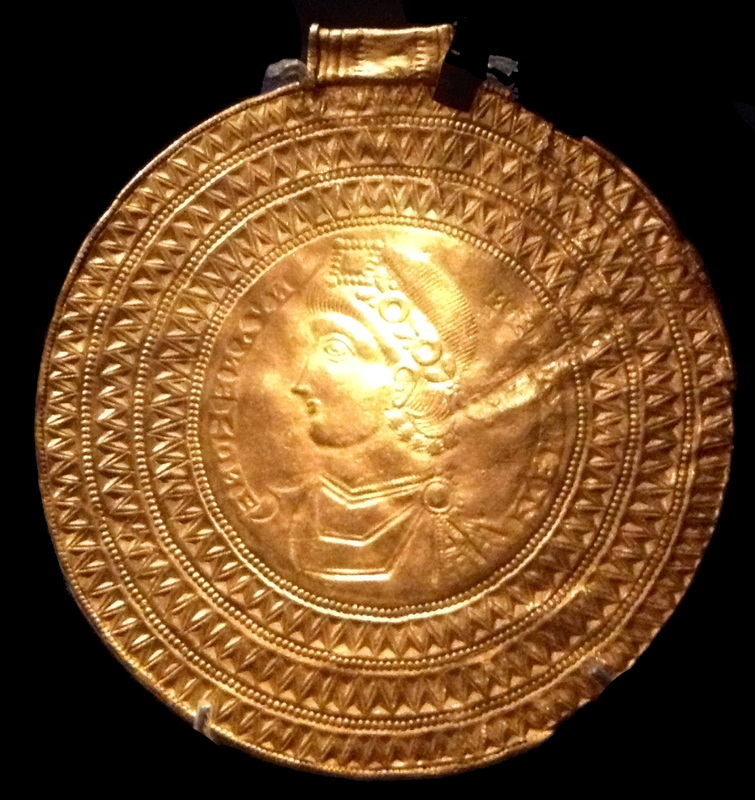 Gold bracteate in the Stockholm Museum. 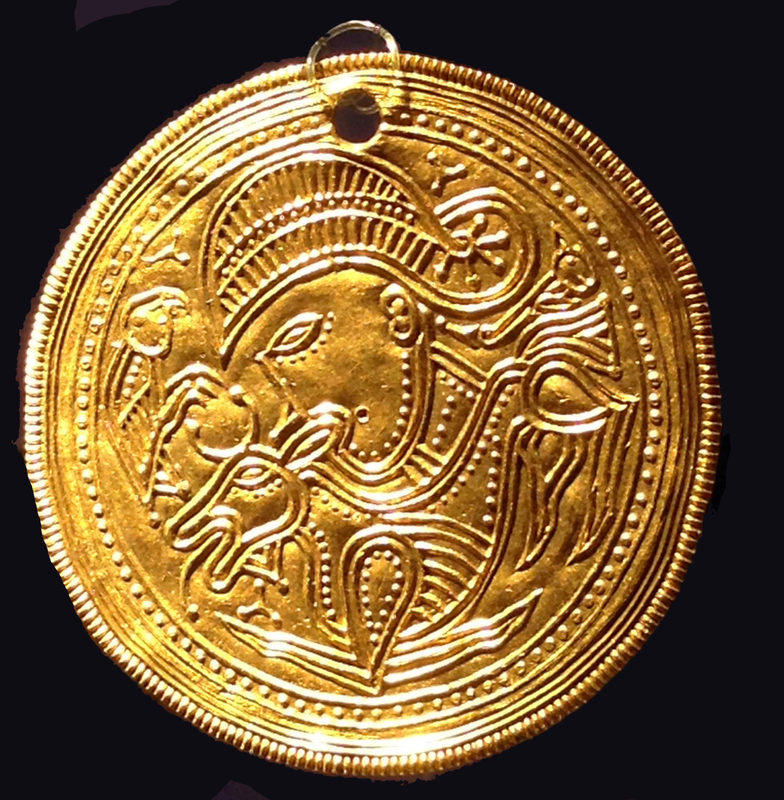 The figure in the center might be a representation of Odin. 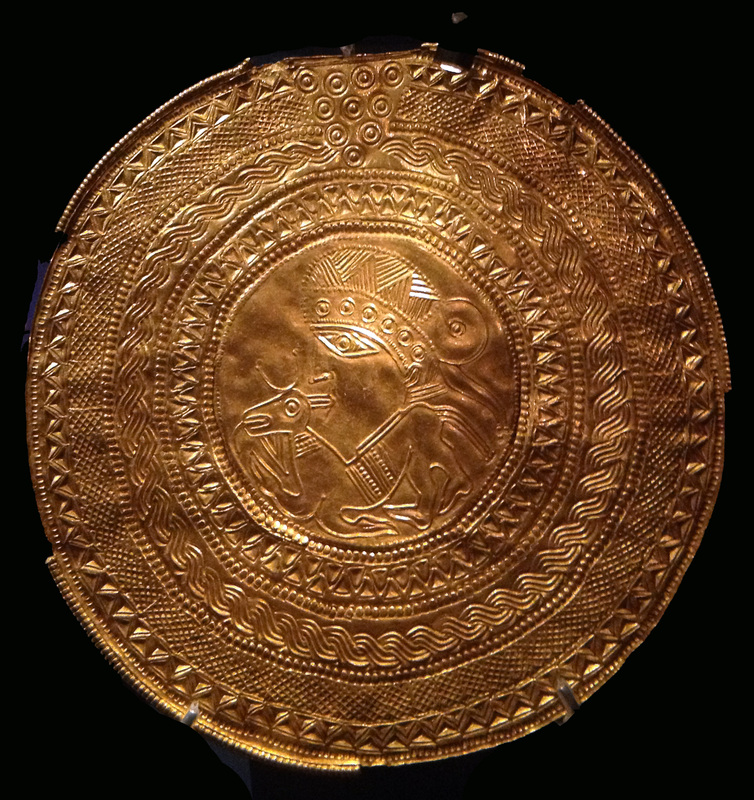 Gold bracteate in the Stockholm Museum. 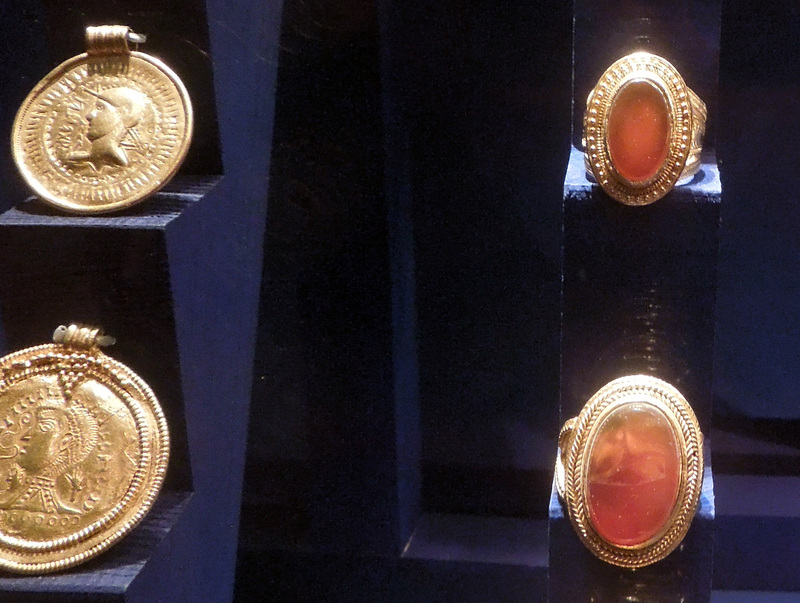 Bracteates and gold rings in the Stockholm Museum. 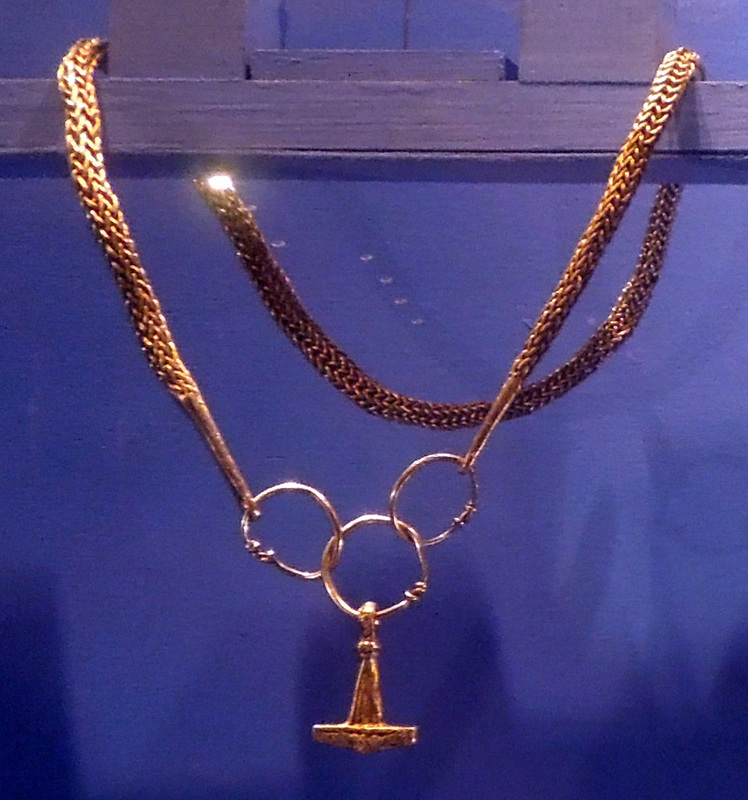 Thor's hammer in the Stockholm Museum. 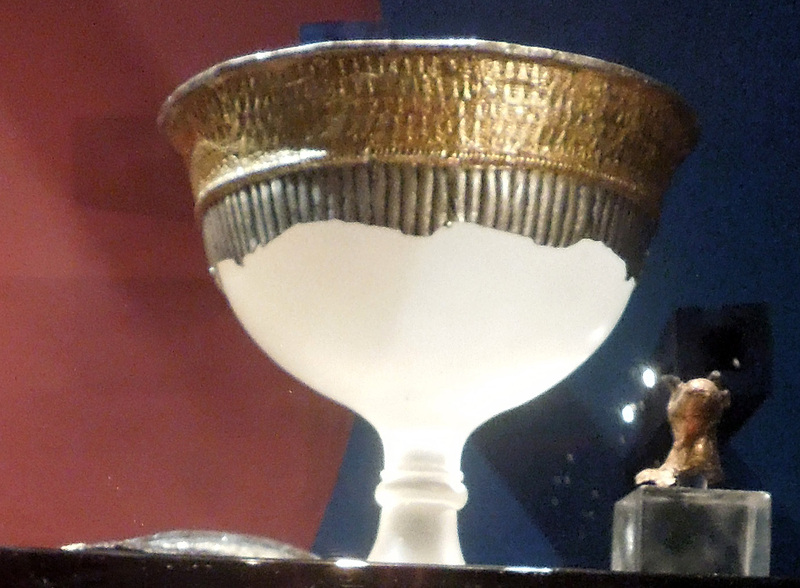 Chalice in the Stockholm Museum. 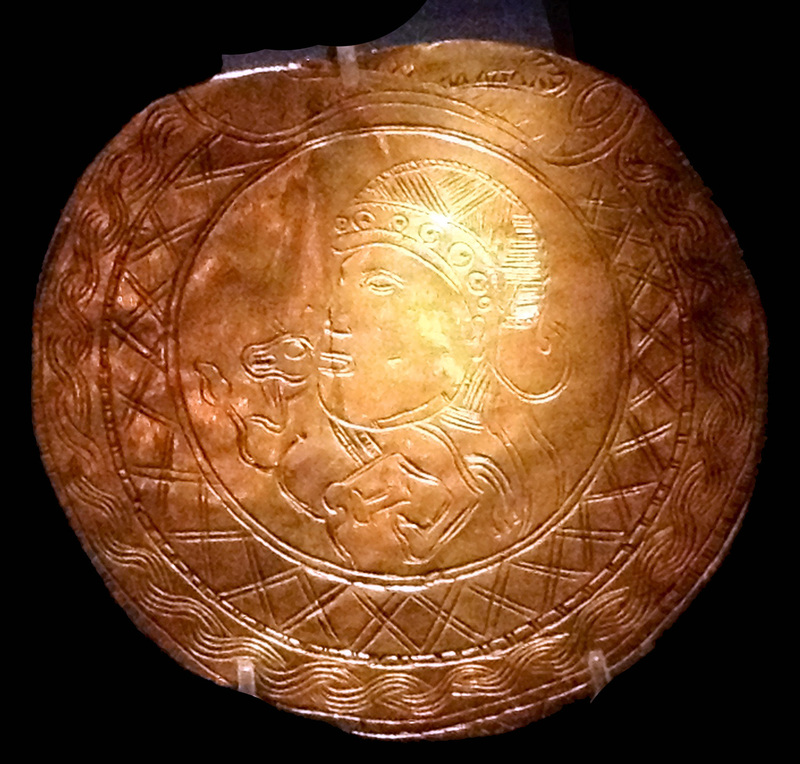 Silver dirhem minted in the Middle East in the Oslo Museum. 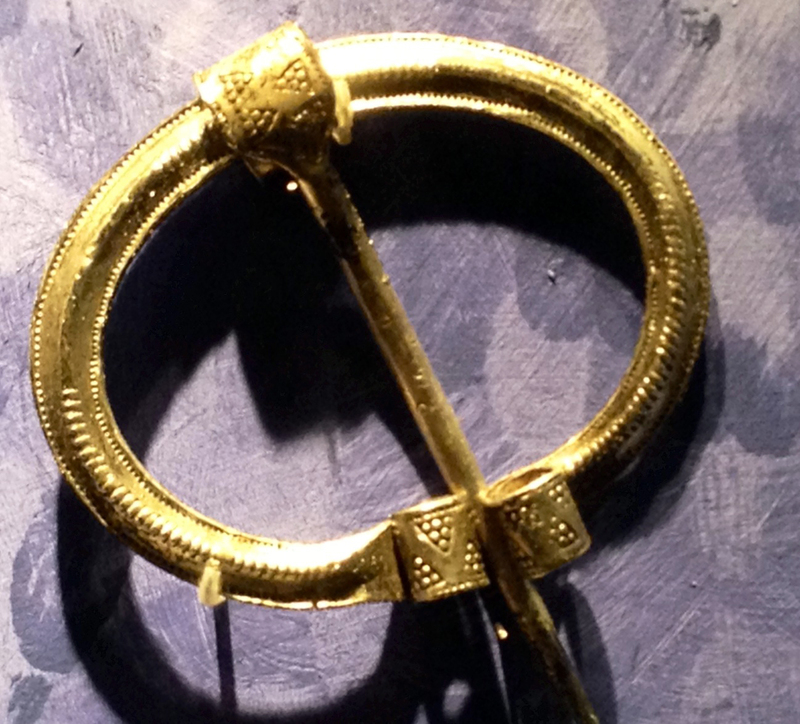 Gold fibula in the Oslo Museum. 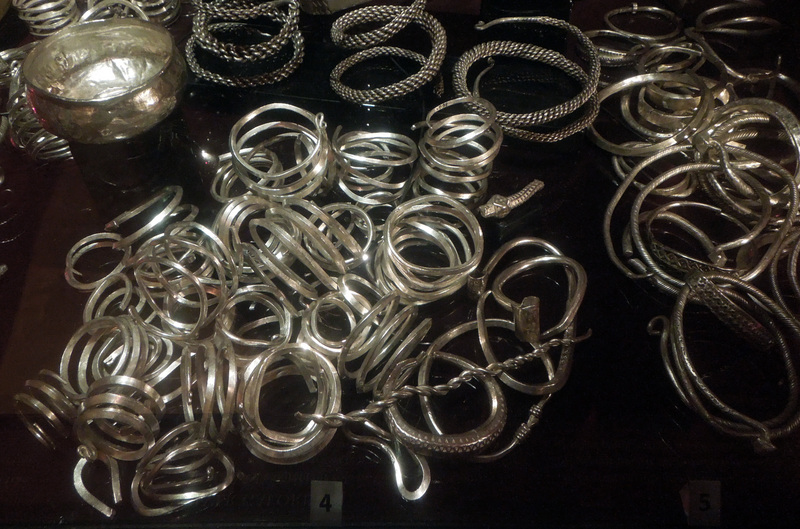 Silver hoard in the Stockholm museum. 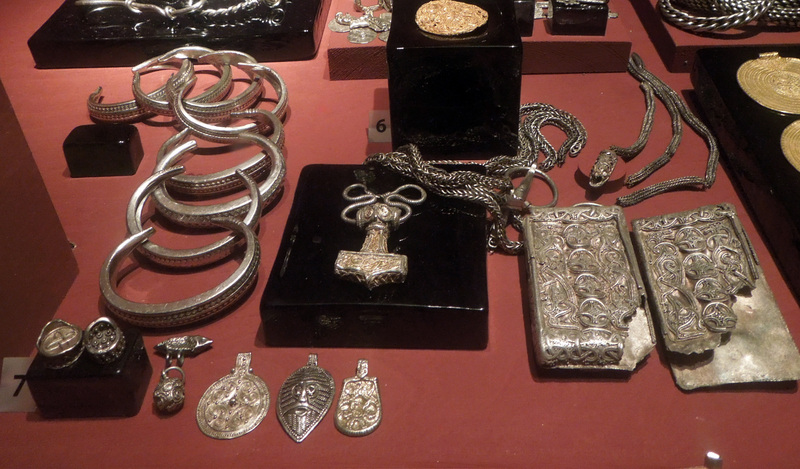 Silver hoard including a Thor's Hammer amulet in the Stockholm museum. 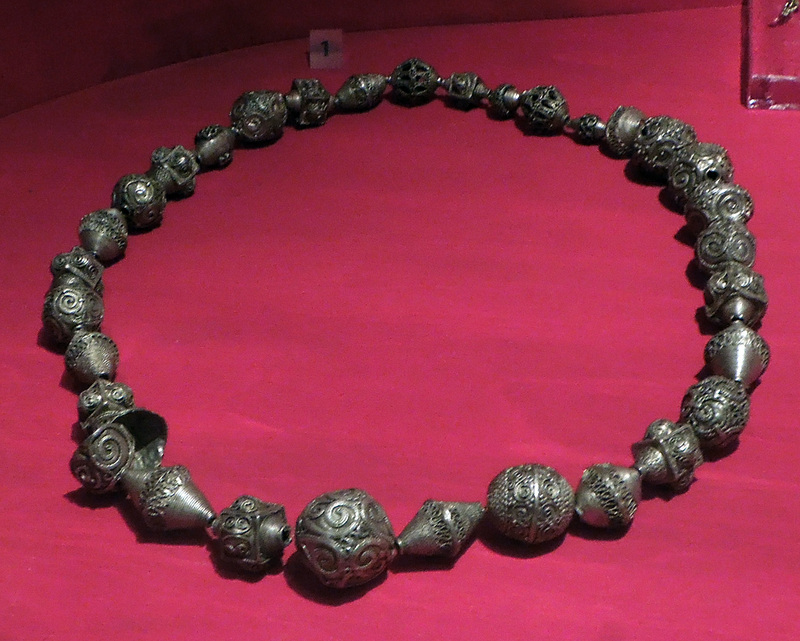 Silver necklace from the Gullunge silver hoard, in the Stockholm museum. 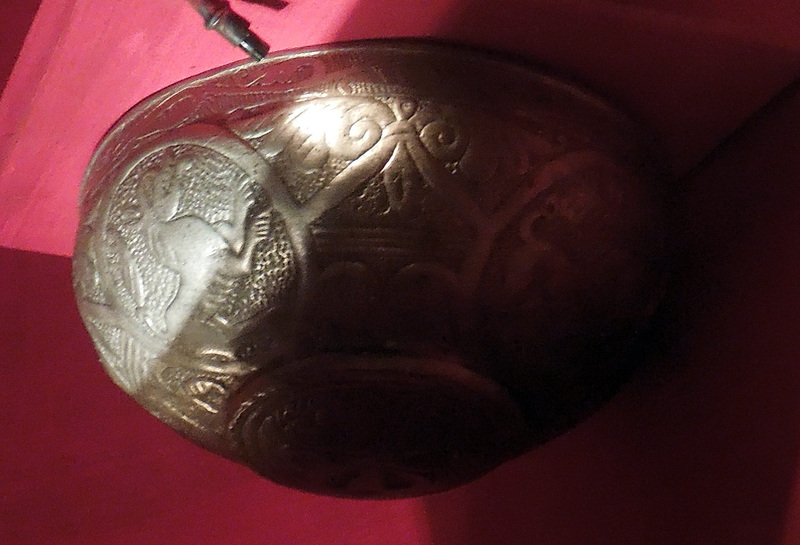 Silver bowl in the Stockholm museum. Silver crucifix from the Gullunge silver hoard, in the Stockholm museum. 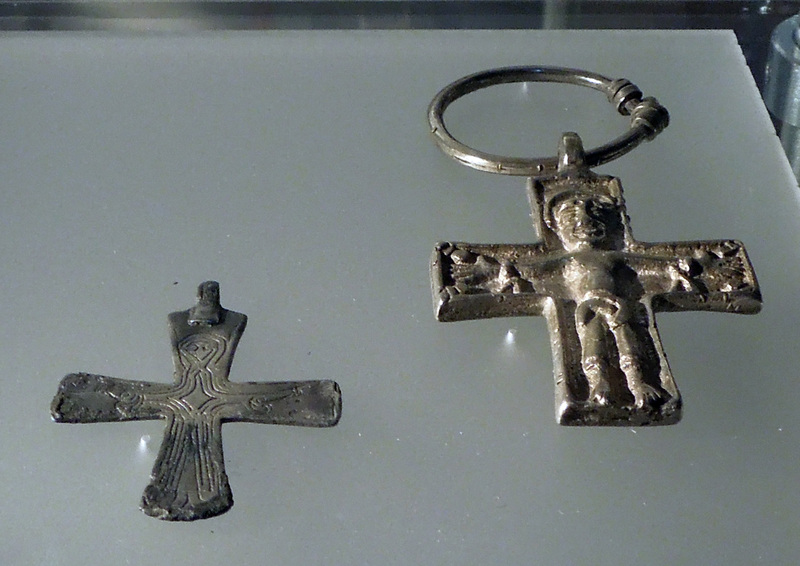 Silver crucifixes in the Stockholm museum. 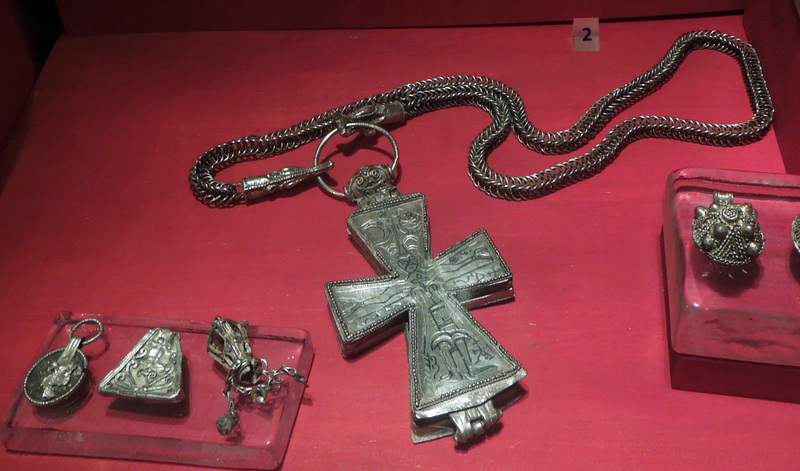 Four silver crosses in the Stockholm museum. 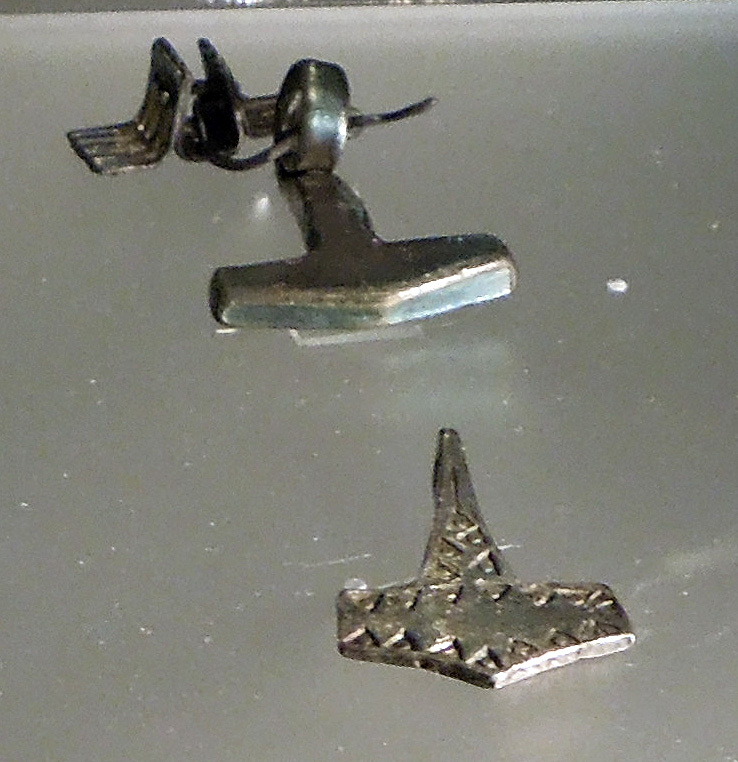 Two silver Thor's hammers in the Stockholm museum. 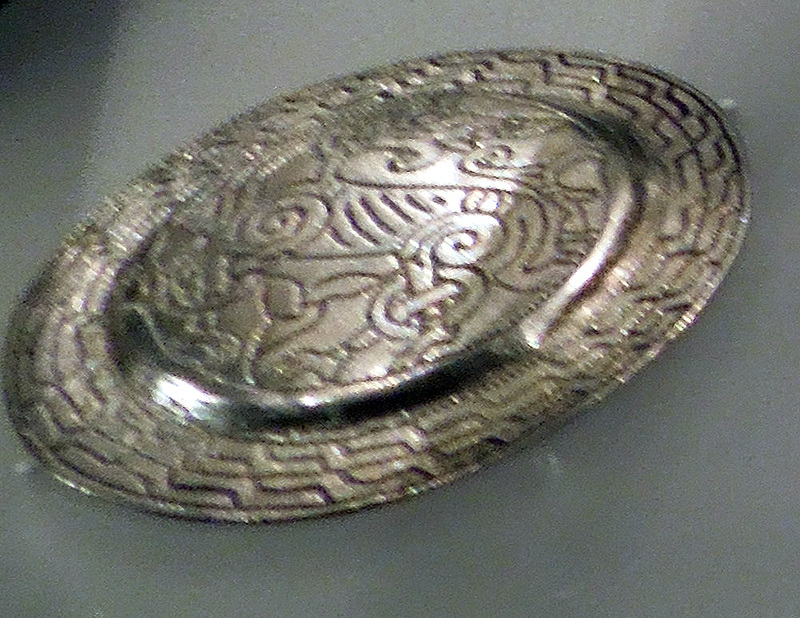 Silver brooch in the Stockholm museum.